"It all started when my mother told me I could do better, and I believed her." Amy Elizabeth loves to write. “It’s my life, my passion, and my heart.” She adores exploring worlds through original works and fanfiction. As fanfiction writer MrBenzedrine, she is the admin of several Harry Potter themed fanfiction groups as well a beta reader for other writers. 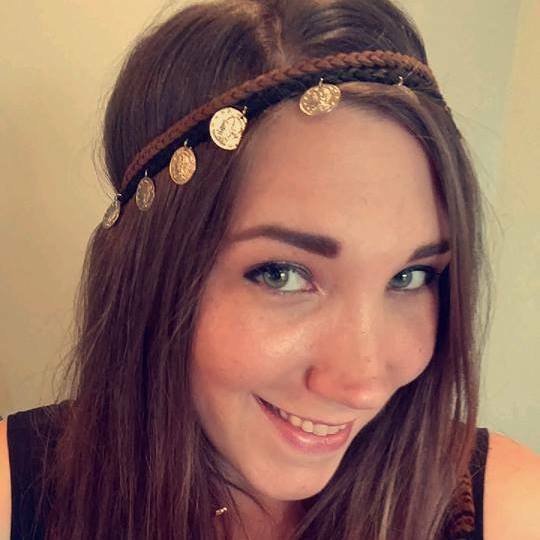 At A2F, she will be talking about where to begin when writing fanfiction, what it takes to make a great fanfiction story, overcoming writers’ block, betas, and how to connect with your audience in the digital world. Amanda currently works in the world of Finance, hold a Bachelor's of Science in Psychology, and is pursuing her Master's in Business Administration. However, literature and grammar are two of her passions (aside from her two affectionate Golden Retrievers). She loves to read and edit, and finds the English language complex and beautiful. She was driven to Amy's works because of the passion, inspiration, and excitement that they evoke. "Her works are creative, unique, imaginative, and stunning, keeping you on the edge of your seat, always hungry for more. They embody the true art of story-telling; lately, that has been hard to come by." After reading an assignment in one of her English classes, J.D. Pierce thought “Hey, I can do this. Let’s give it a try.” She did just that and never looked back. With encouragement from teachers, family, and friends, she continued in her adventures with writing, delving deeper into it with fanfiction and finally starting on original works: Chosen and White Blood. She also writes short stories such as Nightmare and Greed. She decided to pursue writing as a career option after a close friend passed away, inspiring her with the notion that she only has one life to live.